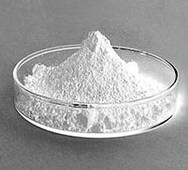 Mubychem Group, established in 1976, is the pioneer manufacturer of Lime Calcium Oxide, Pharmaceutical, Fragrance & Flavor chemicals in India. Mubychem Group has several manufacturing facilities spread across Gujarat and Mumbai India and world wide contacts and toll manufacturers. We are exporting globally to countries like USA, Europe, UAE, South Africa, Tanzania, Kenya, Egypt, Nigeria, Uganda, Turkey, Mexico, Brazil, Chile, Argentina, Dubai, Indonesia etc. Loss on ignition— Ignite a portion of Quick Lime or Calcium Oxide to constant weight in a tarred platinum crucible at 1100 ± 50 C it loses not more than 10.0% of its weight. Insoluble substances— Slake 5.0 g of Quick Lime or Calcium Oxide, then mix with 100 mL of water, followed by hydrochloric acid, drop wise, with agitation, until solution takes place: the resulting solution after boiling and cooling is acid, and when filtered through a tarred crucible, washed with water until free of chlorides, and dried at 105 for 1 hour yields not more than 50 mg of insoluble substances (1.0%). Carbonate— Slake 1 g, mix with 50 mL of water, and decant the greater portion of the milky liquid: the addition of an excess of 3 N hydrochloric acid to the residue does not cause more than a slight effervescence. Magnesium and alkali salts— Dissolve 500 mg in 30 mL of water and 15 mL of 3 N hydrochloric acid. Neutralize the solution with 6 N ammonium hydroxide, heat to boiling, and add ammonium oxalate TS to precipitate the calcium completely. Heat the mixture on a steam bath for 1 hour, cool, dilute with water to 100 mL, mix, and filter. To 50 mL of the filtrate add 0.5 mL of sulfuric acid, evaporate to dryness, and ignite in a tarred platinum crucible to constant weight. The weight of the residue does not exceed 9 mg.
Assay— Ignite about 1 g of Lime in a muffle furnace to constant weight, cool, weigh accurately, and dissolve in 20 mL of 3 N hydrochloric acid. Cool the solution, transfer to a 500-mL volumetric flask with the aid of water, dilute with water to volume, and mix. Transfer 50.0 mL to a suitable container, add 100 mL of water, 15 mL of 1 N sodium hydroxide, and 300 mg of hydroxy naphthol blue, and titrate with 0.05 M edetate disodium VS until the solution is deep blue in color. Each mL of 0.05 M edetate disodium is equivalent to 2.804 mg of CaO. 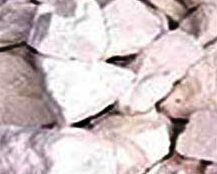 Quick Lime or Calcium Oxide occurs as hard, white or gray-white masses or granules, or as a white to gray-white powder. One gram dissolves in about 840 mL of water at 25° and in about 1740 mL of boiling water. It is soluble in glycerin but insoluble in alcohol.